Heart disease is the number-one cause of death in America. It affects 81 million Americans and is the culprit in one of every two deaths in the United States. Most people think that they are not at risk of a heart attack if they control their cholesterol and blood pressure, but they aren't aware of other major risk factors. The good news is that with the right information and strategies, heart attacks are preventable - even if heart disease runs in the family. 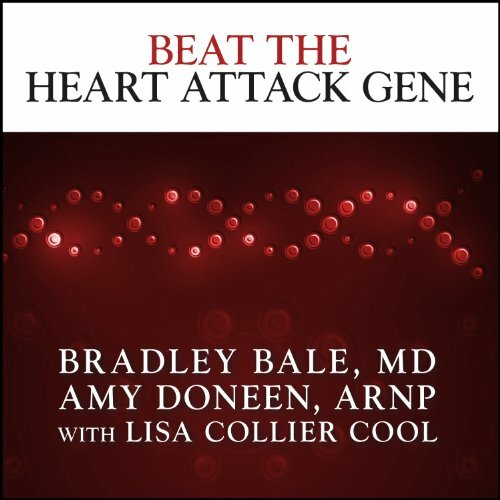 In Beat the Heart Attack Gene, world-renowned cardiovascular specialists Bradley Bale, MD, and Amy Doneen, ARNP, present a new model for understanding and preventing heart disease. They explain the three different genetic types of cholesterol profiles and tailor treatments for each type, using their cutting-edge Bale/Doneen Method, a simple, comprehensive prevention plan that detects cardiovascular disease (CVD) at early stages. Beat the Heart Attack Gene includes easy quizzes and self-tests that show how to determine cholesterol genotype as well as advice for how to apply that knowledge through nutritional and lifestyle changes. For heart attack and stroke survivors, the Bale/Doneen Method also helps prevent recurrences by identifying and treating what's triggering the patient's disease - a crucial step that many cardiologists neglect. With their proven method utilized by healthcare professionals worldwide, Bale and Doneen empower listeners by alerting them to potential health threats, and then offer personalized, evidence-based strategies so they can live healthy, active lives without fear of heart attack or stroke.